Galya Diment is Professor, the Thomas L. & Margo G. Wyckoff Endowed Faculty Fellow, and the Joff Hanauer Distinguished Professor in Western Civilization in the Department of Slavic Languages and Literatures at the University of Washington. Her teaching specialties include Russian literary and cultural history, the works of Vladimir Nabokov, and Russian Jewish film. For her 2015-6 Hanauer seminar she is teaching a course called “’Melting Ports’ of the West: Film, Music, Literature and Culture of Odessa, Trieste, and Istanbul,” which features many Jewish writers, musicians, artists, and filmmakers. Prof. Diment received her Ph.D. in Comparative Literature from the University of California, Berkeley, and is on the editorial boards of Nabokov Studies, Russian Studies in Literature, and Studies in Russian and European Literature. 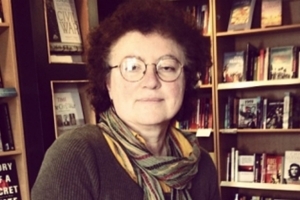 She has authored and edited six books, among them Pniniad: Vladimir Nabokov and Marc Szeftel (1997; Paperback 2013), and, most recently published, A Russian Jew of Bloomsbury: The Life and Times of Samuel Koteliansky (2011; Paperback 2013). Her essay about her grandfather, who was a rabbi near Vitebsk, and his family was featured in a Vitebsk publication, “Mishpoka,” in 2013. Her articles have also appeared in the Times Literary Supplement, New York Magazine, and London Magazine. She is currently working on a book about Jewish painters from Vitebsk at the turn of the twentieth century — Vitebsk and Beyond: Yehuda Pen, Marc Chagall, and Leon Gaspard.